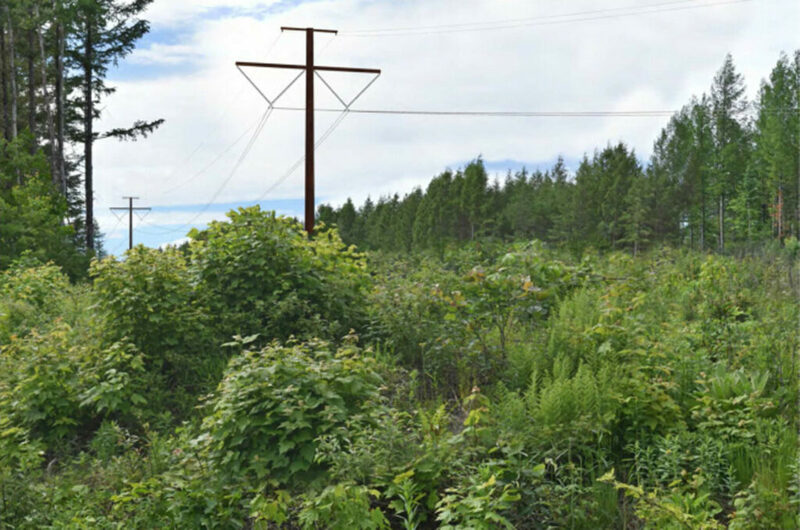 The staff of the Maine Public Utilities Commission is recommending that a controversial transmission line through Maine that would bring Canadian hydropower to Massachusetts receive a permit from state utility regulators. The recommendation released Friday night represents good news for Central Maine Power, its parent company, Avangrid, and its partner, the provincial energy company Hydro-Quebec. The 162-page report sets the stage for one of the most consequential decisions in recent years by the PUC: Whether to give New England Clean Energy Connect a key permit it needs to move ahead with a project that has sharply divided Maine policymakers and residents. The long-awaited report, known as a hearing examiner’s report, represents the staff’s expert recommendations to the three commissioners, who soon will decide the fate of the permit. The commissioners aren’t bound by the examiner’s assessment, but these reports historically serve to guide their decision. Formal intervenors in the case, which include environmental groups, large electricity users and power plant owners, have until April 8 to file responses that can either support or take issue with the staff findings. Deliberations by the commissioners haven’t been scheduled. But with a settlement in hand, the examiner’s report released and a date set for intervenors’ responses, the PUC’s vote on the $1 billion project is within sight. Opponents said they plan to take up the fight at upcoming hearings at the Maine Department of Environmental Protection and in the Legislature. Howard noted that out of more than 1,300 public comments filed with the PUC, only 28 were in support of the project. 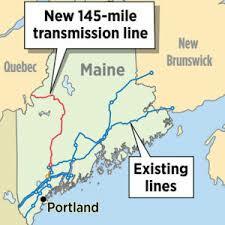 Sue Ely, a staff attorney at the Natural Resources Council of Maine, said the report fails to adequately address the fundamental problems with the CMP corridor, including its primary concern that no verifiable evidence has been provided by CMP or Hydro-Quebec to prove that their enormous transmission line would actually result in a net reduction of greenhouse gas emissions. CMP welcomed the findings of the examiner’s report. The company plans to review the report and file comments or exceptions by the April 8 deadline, Carroll said. The PUC staff and its lead attorneys spent more than a year analyzing information and testimony for and against the venture. 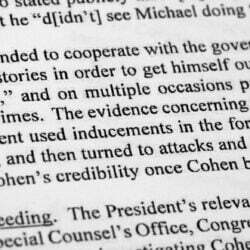 In making their recommendation, they considered the merits of a settlement agreement endorsed by some of the major parties in the case, including Gov. Janet Mills. Under those terms, CMP and its partners would dole out roughly $258 million in Maine over 40 years to help lower electric bills, advance clean-energy efforts, and fund other public and community benefits, in exchange for a PUC permit to build the line. The PUC staff has been buried in an avalanche of testimony and public comments, in which they sought clarity amid a confusing and contradictory landscape: For supporters, the project offers 1,200 megawatts of clean energy that will bolster Maine’s rural economy, lower electric rates and reduce New England reliance on fossil fuels while combating climate change. For critics, it’s a greedy money grab for foreign developers, etching a 150-foot scar that would run 52 miles through Maine’s North Woods to help Massachusetts meet its renewable energy goals, while falling short of delivering the promised benefits for Mainers or for the planet. In recommending approval, the PUC staff outlined the requirements for a project to meet the public need, but noted that the legal definition of that was unclear. PUC approval would clear a major hurdle for CMP, but it’s not the final word. Federal permits are still needed. And in Maine, attention will turn next week to the Department of Environmental Protection and Land Use Planning Commission, agencies that also must approve permits for the project to move forward. Issues to be debated there include impacts on scenery, recreation, wildlife habitat, wetlands and cold-water fisheries. Reflecting the high interest in the project, those two agencies are readying a week of public hearings beginning Monday at the University of Maine at Farmington. Testimony is being consolidated into 10 different intervenor groups, ranging from local residents to power generators and Maine Guides to state officials. At the same time, opponents in the Legislature have been proposing bills that could hamstring the project, such as requiring an independent study to determine the impact on climate change. These benchmarks in the regulatory process come as more communities along the 145-mile route weigh in, some rescinding previous support. On Monday, Farmington voters came out against the project, despite words of support from Mills, a longtime resident. Farmington became the 10th town along the route, ranging from Wiscasset to Jackman, seeking to block or distance itself from the project. According to the Natural Resources Council of Maine, a staunch opponent, 10,000 Maine residents have signed a petition against the power line. This story was updated at 2 p.m. April 1 to display a more accurate image of CMP’s proposed transmission line.